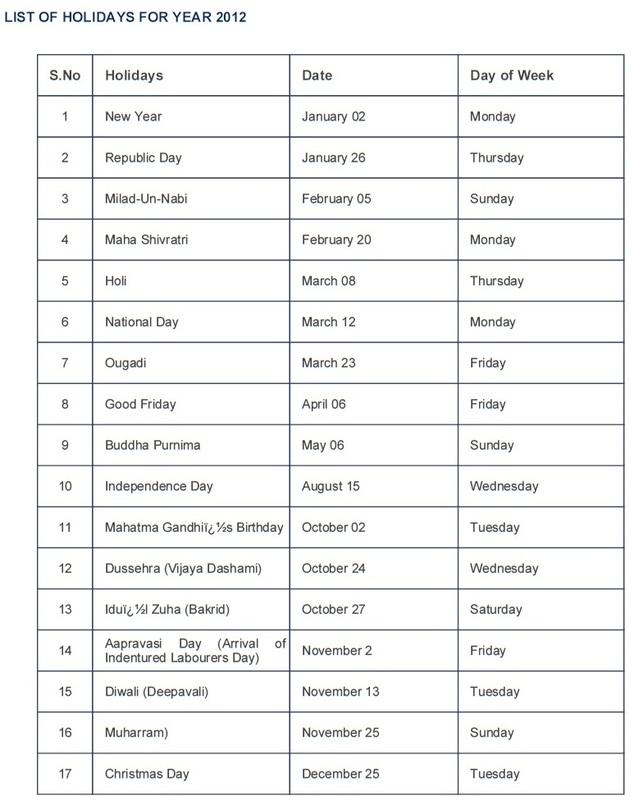 Are these 17 holidays for India or for Mauritius, or for both countries? If both, what about Mauritian public holidays such as Cavadee, Chinese New Year, Assumption or Eid-ul-Fitr? Or, worse, what about the abolition of slavery? “Aapravasi Day (Arrival of Indentured Labourers Day)” appears in 14th position in the list. Didn’t people at the High Commission know that everytime indentured labour is mentioned slavery must automatically be mentioned too? How politically incorrect all this is! “Independence Day” on “August 15” and “National Day” on “March 12”. Hoy! For those who didn’t realise, Mauritius became independent on the 12th March. This day is known as “lindépandans” in the country. 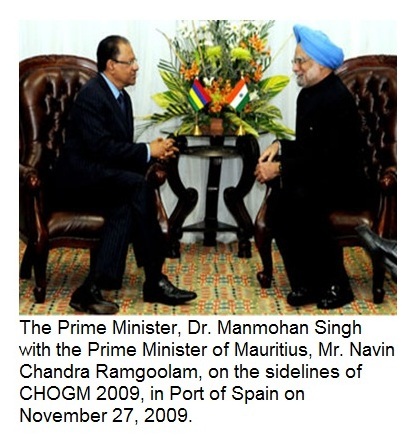 On the photo gallery the visitor can see a picture of Navin Ramgoolam dicussing with Manmohan Singh, in “Port of Spain” says the underlying text — which calls the former “the Prime Minister, Dr. Manmohan Singh” and the latter “the Prime Minister of Mauritius, Mr. Navin Chandra Ramgoolam”. Maybe it has not been brought to the knowledge of the High Commission’s staff that Mr Ramgoolam is also a doctor, just like his late Father. On another High Commission page listing all the GoM’s ministers, the Mauritian Prime Minister’s titles are given as “Dr.”, “Honourable”, “GCSK” and “FRCP”. What about “Grand officier de la Légion d’honneur”? Maybe a few people haven’t noticed that Mr Ramgoolam likes to wear the red ribbon of this French order on the left-hand side of his suits. On the other hand, some have obviously noticed it, as can be seen on the large portrait offered on the 25 April 2011 by the President of India. On the page giving a timeline of Mauritian history it can be read that “among his [Labourdonnais’] other achievements, one can mention the Government House, the Line Barracks, and Chateau Mon Plaisir at Pamplemousses Botanical Gardens”. It should be told to the High Commission of India that for some years now the garden has been officially named “Sir Seewoosagur Ramgoolam Botanic Garden”. 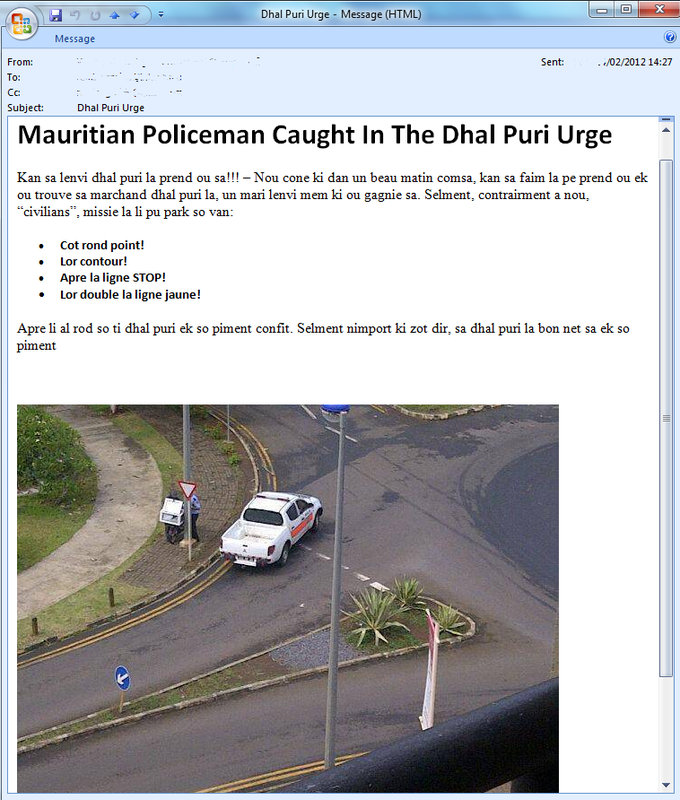 This is at least what is mentioned on the page dedicated to the garden on the Goverment of Mauritius’ website. “Creole does not have a definite written form.” Hum, I wonder what Carpooran, the Akademi Kreol and those who were behind Grafi Larmoni would say — publicly or privately — about this statement. And doesn’t anyone at the High Commission know that the National Language of Mauritius should now be spelt with a K? Hon. Speaker, Prime Minister and distinguished Members of the National Assembly. C´est toujours un grand honneur de prendre la parole devant l´auguste législature d´un pays autre que le sien. Je remercie Maurice de m´avoir accordée une fois de plus ce privilege. Le Parlement constitue le corps institutionnel de tout gouvernement représentatif. Il incarne la volonté libre d´un peuple libre. Il joue le role du gardien de la liberté et garant de la justice. C´est dans le Parlement que le peuple repose tous ses espoirs et toutes ses aspirations. Les élections sont le procéssus par lequel nous choisissons et nous changeons nos gouvernements d´une manière pacifique et en civilisée. Il incombe, donc, au Parlement de veiller à ce que ces options suivent de près les idéaux de la nation. Your recent elections have brought a large number of young people to this Parliament. We, in India, have also made special efforts to give the young their legitimate share of authority and responsibility. Demographers tell us that compared to affluent countries, the young of developing ones form a greater proportion of the population. The real majorities in the world are the young and the poor. 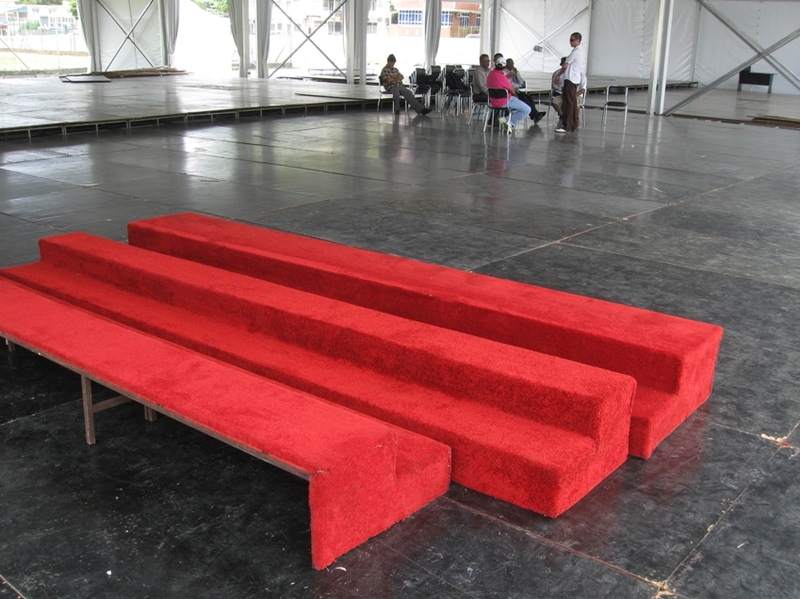 It was once said « si jeunesse savait, si vieillesse pouvait ». Science has altered that. Youth does not lag behind in knowledge, in science, in technology or other spheres, nor does age necessarily hamper activity. Did she really speak French or did she learn this more or less by heart before delivering a speech in a House whose statutes say that its language is English but that the Speaker may be addressed in French? If she learned it by heart, she could then have spoken Creole. “2. Persons of Indian Origin desirous of tracing their roots in India would be required to fill up the prescribed application form and deposit it with the concerned Indian Mission/Post located in the country of their residence along with a fee of Rs 30,000/- (Rupees thirty thousand) in equivalent US $, Euro or any other foreign currency acceptable to the Indian Mission/Post.” Thirty thousand rupees? Why is an official Indian body asking for so much money just to let people know where in India their ancestors came from? 7. Rugby more popular than football? There are certainly other points of interest on this website. I’ll encourage those who wish to find them to post their quotes and comments below. 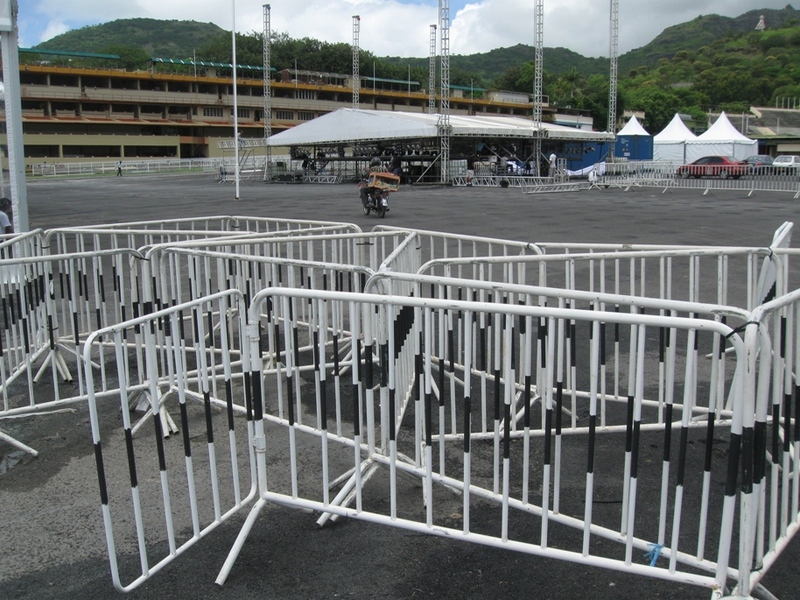 We could then try to find what the British High Commission or the French Embassy have to say about Mauritius. 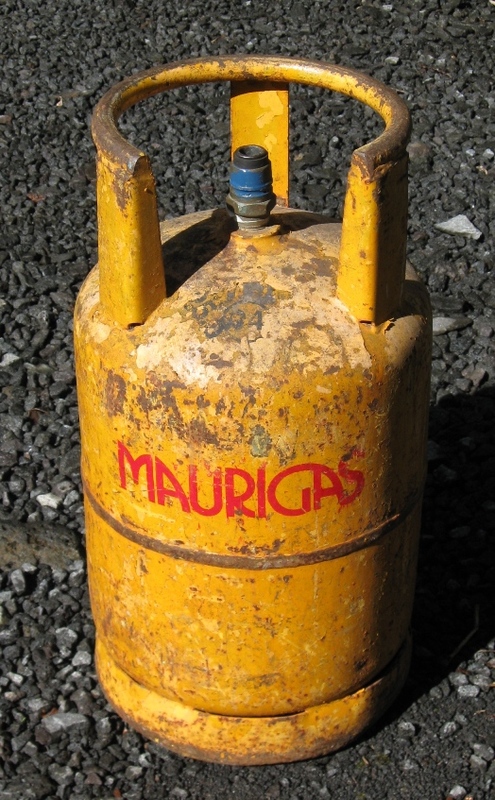 Gaz (butane) en bouteille utilisé par les ménages, i.e. pour un usage domestique. La locution gaz ménager n’est pas fautive per se. L’adjectif ménager signifie “relatif au ménage” (wiktionnaire, Reverso), “qui a rapport à la vie au foyer, qui est relatif aux travaux d’entretien du foyer, à l’ensemble des tâches domestiques se rapportant à l’entretien d’une famille” (TLF), “qui se rapporte aux soins du ménage, à la tenue de l’intérieur domestique” (Petit Robert), le ménage en question étant “l’intérieur, la maison, l’ensemble des choses domestiques” (TLF, Petit Robert). Dans ce sens, on parle d’ordures ménagères, d’eaux ménagères, d’appareils ménagers, de tâches ménagères, d’odeurs ménagères, etc. 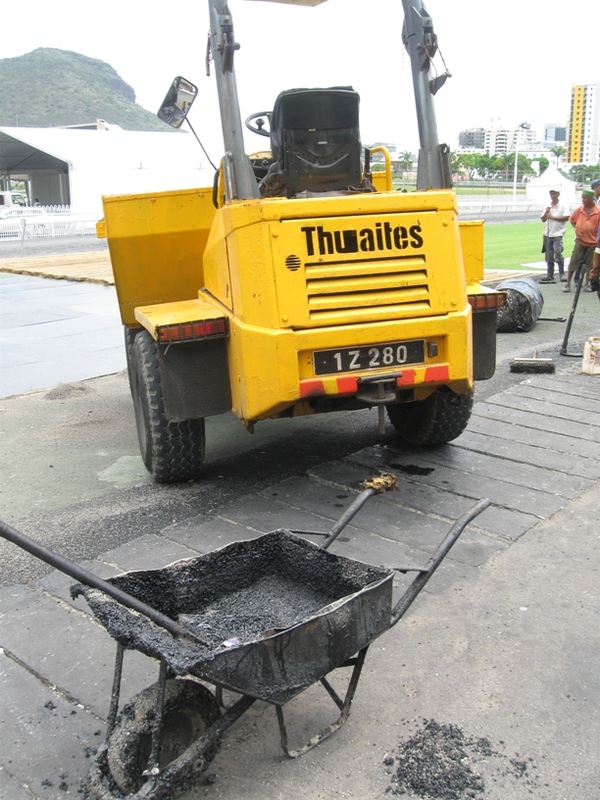 Toutefois, l’expression gaz ménager est relativement peu employée — sauf dans la presse mauricienne, où elle est généralisée, comme le montrent les quelques exemples précédents, ainsi que dans diverses organisations mauriciennes. 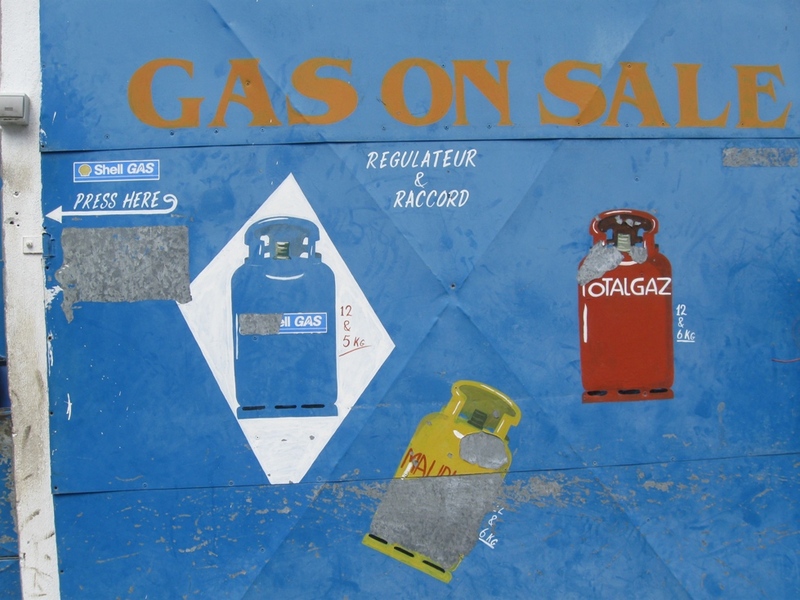 Dans la vie courante, cependant, on ne l’entend pour ainsi dire jamais, le mot gaz tout court étant suffisant pour se faire comprendre. 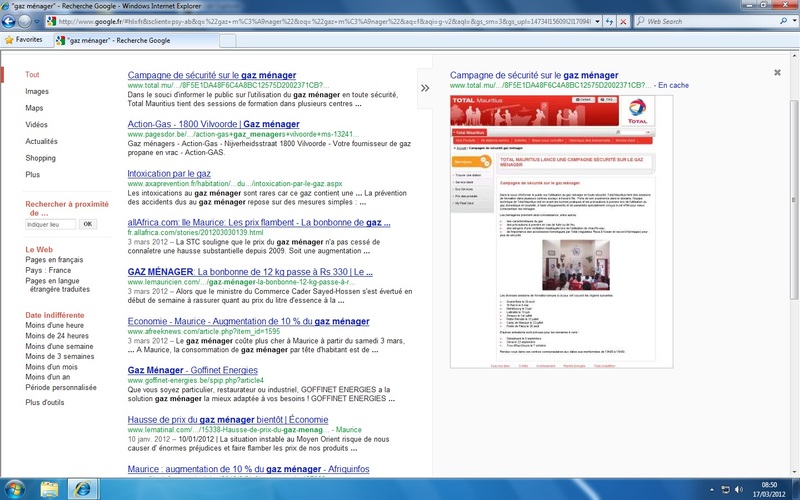 En entrant l’expression “gaz ménager” entre guillemets dans le moteur de recherche Google.fr on obtient un certain nombre de réponses. Parmi les 10 premières, 7 ont trait à l’île Maurice. L’expression n’est pas inconnue en France ou en Belgique — une recherche sur Google limitée à ces pays-là le montre —, mais la relative abondance de la locution gaz ménager dans la presse mauricienne justifierait à elle seule que celle-ci figure parmi les mauricianismes. Every 12th of March Mauritius celebrates its independence. 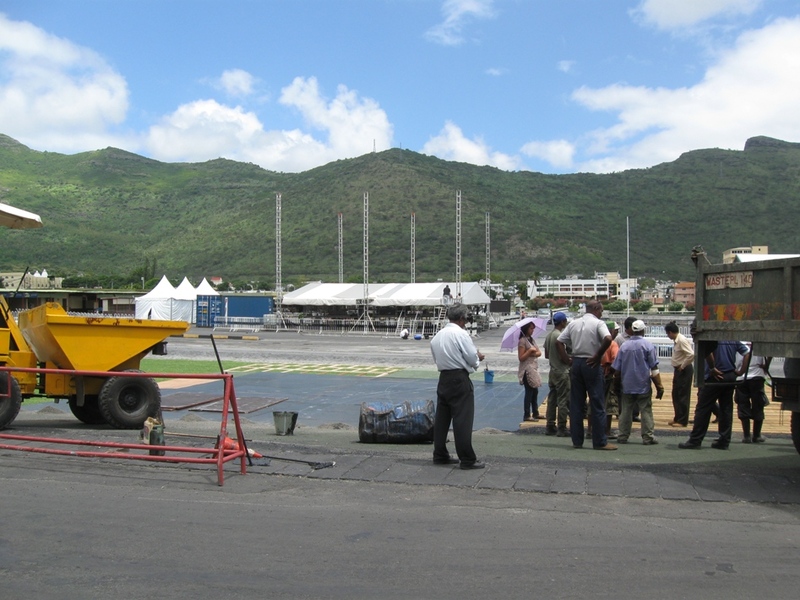 The day before, or the Friday before in case that day is a Sunday or a Monday, the red-blue-yellow-and-green flag is raised and the Mauritian anthem is sung in schools across the country. Almost all schools in Mauritius, whether private or public, follow the British curriculum, but a handful of privately-owned Mauritian schools follow the French curriculum instead. There, pupils are taught in French and a small percentage of the staff is made of French expatriates. 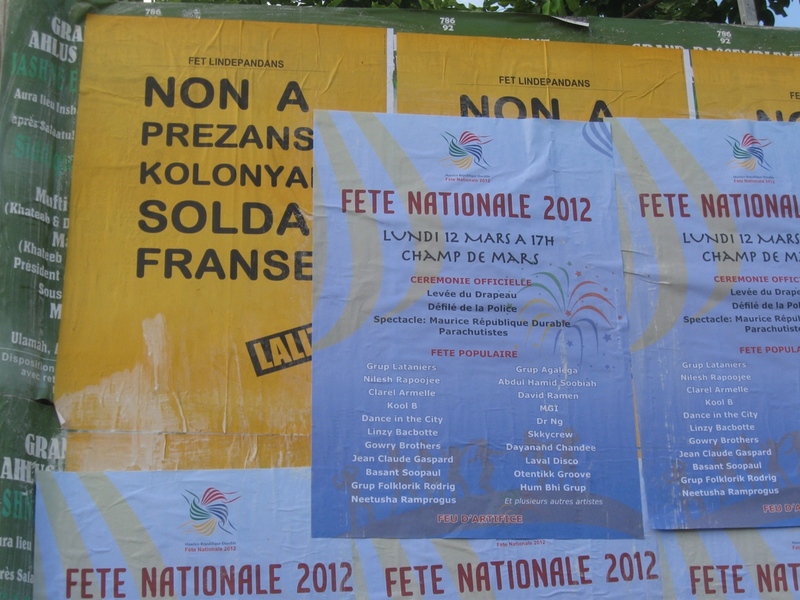 In several of these schools, for many years now, on the 11th of March or a few days before, the French anthem — La Marseillaise — used to be played after the Mauritian anthem. I still remember an article about this oddity, published perhaps ten years ago in a Mauritian daily, which expressed the author’s discontent with the matter. In essence, he was saying that it was inappropriate to sing “happy birthday Aunt France” on the very birthday of her nephew, little Maurice. He was right in the sense that this day has nothing to do with a former colonial power which once upon a time owned the island, and he could have highlighted that in no school following a British curriculum did anyone sing “God save the Queen” on that occasion. A number of years ago I was myself a pupil in one of those so-called “French schools” — which in fact are Mauritian schools following a French curriculum and French guidelines, though France did provide some financial support and continues to do so I believe, to some extent. I remember we were singing the Mauritian anthem in French, while it is usually sung in English. To this day I know the anthem far better in French than in English. “Gloire à toi île Maurice, île Maurice, ô ma mère patrie, fraîche est ta beauté, doux est ton parfum, nous voici tous debout, pararap-pap-pap, comme un seul peuple, une seule nation, en paix, justice et liberté. Pays bien aimé que Dieu te bé-énisse, aujourd’hui et toujooours.” But I can’t remember if we used to sing “Allons zenfants” just after. From two reliable sources I gather that this year (i.e. yesterday, 9 March 2012), after many, many years of singing Mr Rouget de Lisle’s war song, the new proviseur of the Lycée Labourdonnais, Mr Marc Haradji, decided that La Marseillaise would no longer be chanted after the Motherland, which was sung — another innovation — in both French and English. At last! 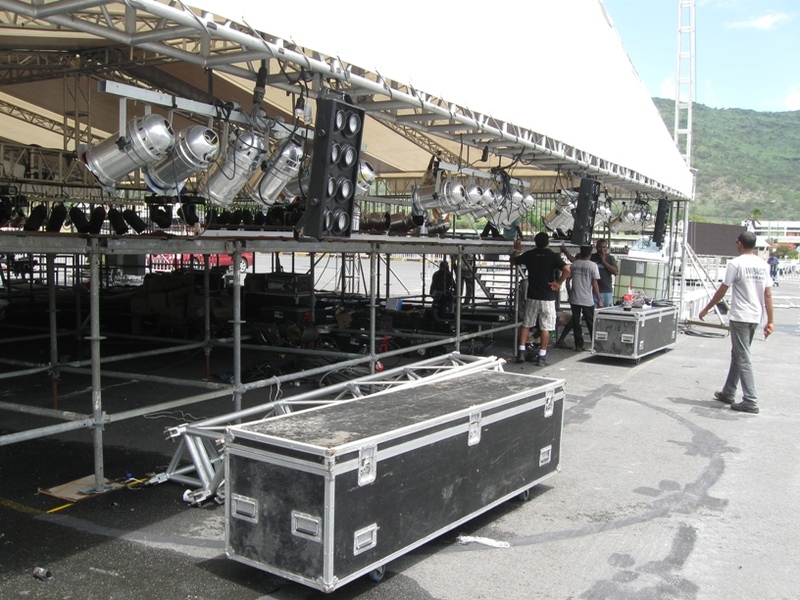 While some were singing “Glo-o-ry-y to thee” in their schools, others were preparing the venue for the show that is to take place at the Champ de Mars on the douze mars. • Apre la ligne STOP! • Lor double la ligne jaune!